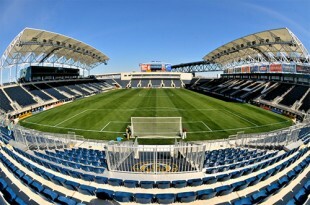 The Philadelphia Independence announced today that they may soon play at PPL Park. The catch? Qualifying for the WPS playoffs. With Wednesday night’s win in Boston, the Independence have moved into sole possession of first place, three points ahead of WNY Flash. The Independence have three games left to play in the regular season while WNY Flash have five games remaining. This would be a dream come true! C’mon Cheesesteaks! I love this! Go Independence! I’ll be watching on FSC this weekend!